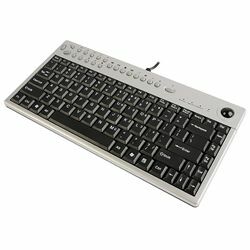 The Scorpius-K3 keyboard is designed with a slim profile and rubberized keys for comfort. The keyboard plugs into your computer's USB port and features a mini track ball and 3 mouse buttons. No driver needed. 12.5" x 6" x 1"